LEN - www.lankaenews.com | MaRa’s title deed transfer forever surpasses even the up country betrayal in 1818 in favor of the British ! MaRa’s title deed transfer forever surpasses even the up country betrayal in 1818 in favor of the British ! 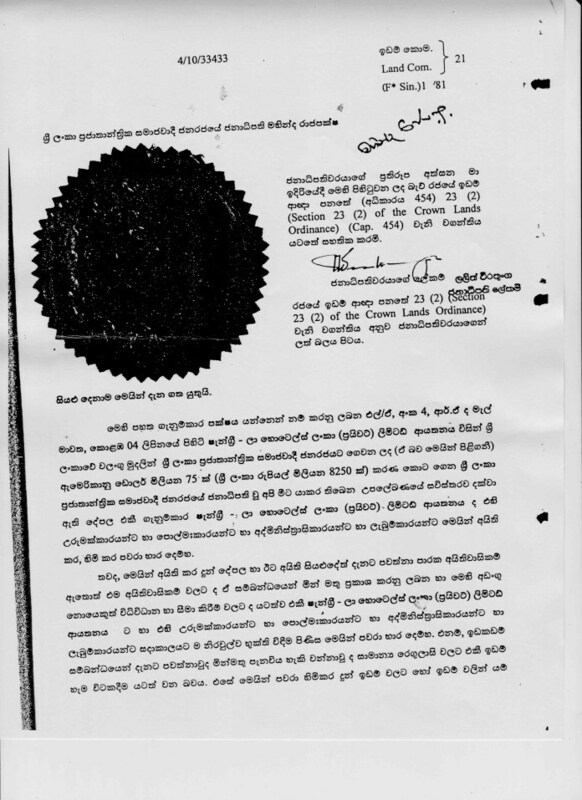 (Lanka e News – 20.July.2018, 11.45PM) Kurunegala district M.P.Mahinda Rajapakse alias ‘Medamulana MaRa’ the self proclaimed leader of the Rajapakse generation has betrayed the country on a scale even surpassing the most infamous upcountry agreement signed on 1818-03-15 whereby the entire country was turned into a colony under Britain, based on a discovery made by Lanka e News. This land is not in the country’s map ,yet the rascally cardboard patriotic rat Percy Mahendra Rajapakse has provided a road to it in the capital city , and that road’s name is Baladaksha mawatha. Beilieve it or not! 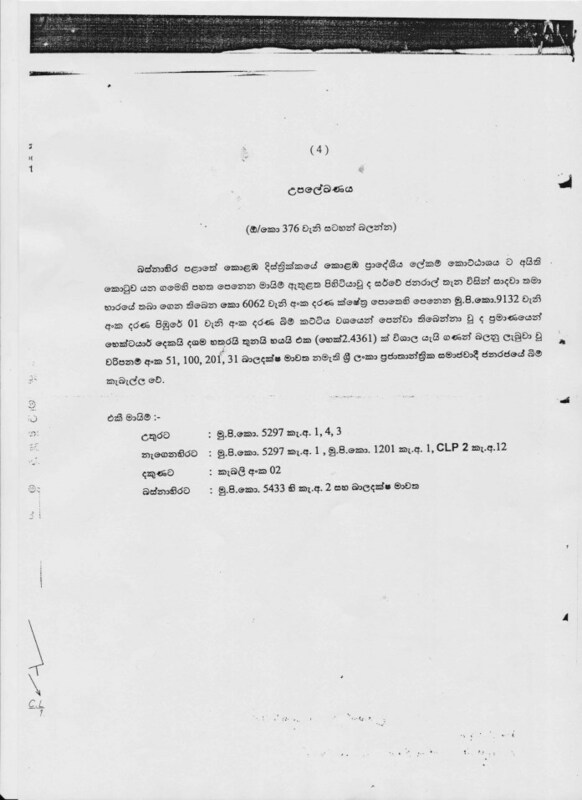 Mahinda Rajapakse who screams from roof tops that he rescued the country and is a patriot had sold 2.4361 hectares of land including Baladaksha mawatha for a paltry US dollars 75 million while also incorporating the clause ‘ownership is transferred to the Shangri la hotels Lanka (Pvt) Ltd. ,its heirs , administrators , recipients and executors ’ in the agreement. 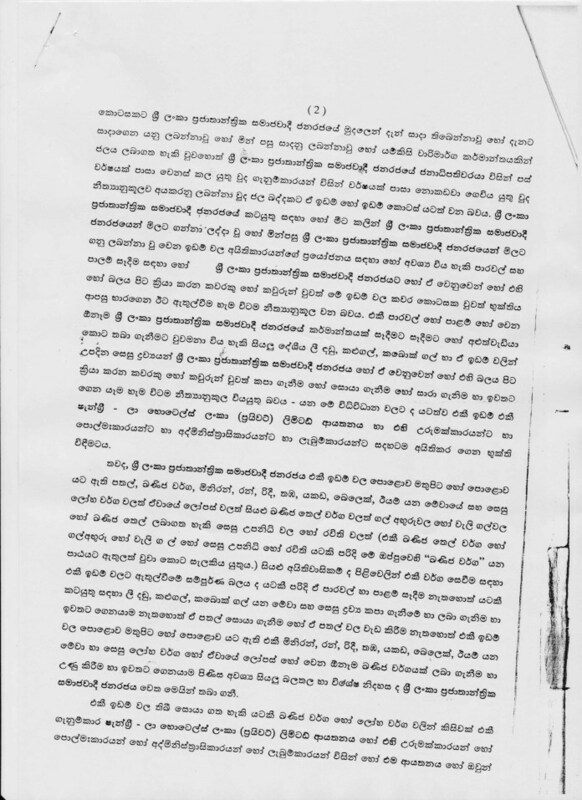 It is significant to note , even in the up country agreement signed with the British imperialists when SL was brought under their rule such a disgraceful despicable detestable betrayal was not committed via the agreement. In the agreement signed by all the leaders of the up country at that time to make this country a colony of the British , nowhere was it stipulated ‘the title has been transferred permanently to enjoy ownership forever ’ nor is there a clause to that effect. The up country leaders at that time had not made such an atrocious national betrayal in favor of their British rulers as did the Rajapakses in favor of Indian Shangri la hotels. . If by chance there was such a monumental betrayal by the up country leaders in their agreement on the same lines as that of MaRa the so called (cardboard) patriot and country’s ‘savior’ , even today SL will not be free . In the past such was the betrayal of the up country leaders , but in the present , the traitorous murderous Mahinda Rajapakse and his blue brigand via the clause ‘title permanently transferred to enjoy ownership forever’ have committed the worst betrayal ever in recorded history. In the circumstances , it must be probed how these notorious Medamulana Rajapakse blue brigand rogues secured the legal right without parliamentary permission to betray this country so outrageously and monumentally ,in order that these betrayers are meted out punishment . Sadly , this task cannot be accomplished by the present effeminate (ponna) , hypocritical , feelings- less ,policy-less leaders and an infighting government whch is running down the government instead of running it , but rather only by a truly people’s government acting in the best interests of the country . 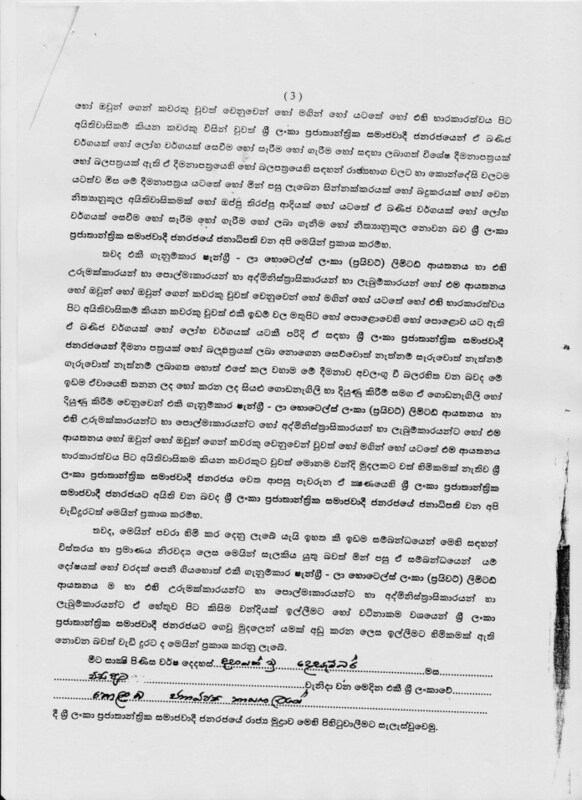 The copy of the deed signed by Mahinda Rajapakse and his secretary transferring the most valuable land of the motherland to Chinees Shangri La hotel owners permanently and forever , and the link relating to the up country agreement signed long ago are hereunder to enable the viewers to read them . The monumental ruthless betrayal of MaRa is contained in the images , and upcountry agreement can be read by clicking on the link below.